The main division of the Qur’an is into chapter (surah) and verse (ayat). 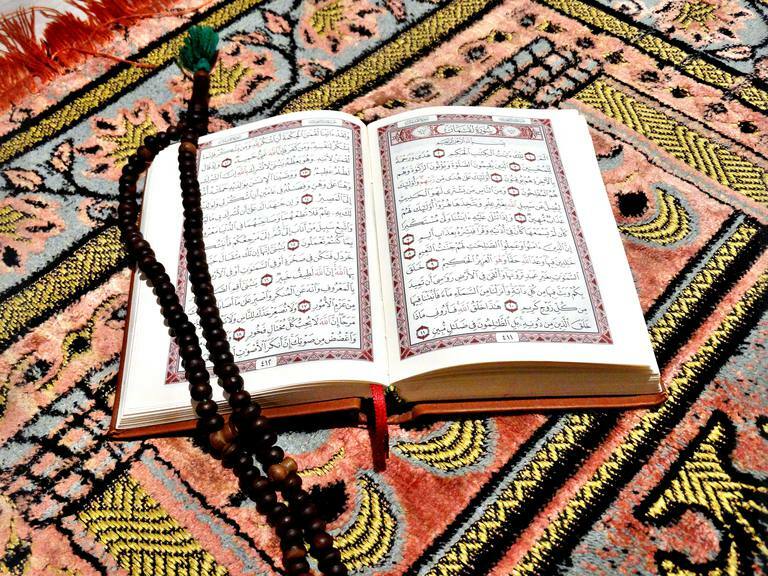 The Qur'an is additionally divided into 30 equal sections, called (plural: ajiza). The divisions of juz’ do not fall evenly along chapter lines. These divisions make it easier to pace the reading over a month’s period, reading a fairly equal amount each day. This is particularly important during the month of Ramadan when it is recommended to complete at least one full reading of the Qur’an from cover to cover. The 28th juz’ of the Qur'an includes nine surahs (chapters) of the holy book, from the first verse of the 58th chapter (Al-Mujadila 58:1) and continuing to the end of the 66th chapter (At-Tahrim 66:12). While this juz' contains several complete chapters, the chapters themselves are somewhat short, ranging in length from 11-24 verses each. Most of these surahs were revealed after the Hijrah, during the time that the Muslims were living as a community in Madinah. The subject matter largely relates to matters of daily living, with instructions and guidance on different issues that faced the Muslims at that time. Much of this section is dedicated to practical matters of living an Islamic lifestyle, interacting with the larger interfaith community, and legal rulings. During the time that the early Muslims were setting up a community in Madinah, they faced issues that needed guidance and decision-making. Rather than rely on their cultural traditions and previous pagan-inspired legal rulings, they sought to follow Islam in all matters of daily living. How should people greet visitors? Can one divorce according to the pre-Islamic customs? How should one deal with criticism and ridicule from non-Muslims? When is it acceptable to speak in private or secretly? What is the etiquette of religious congregations, particularly Friday prayer? What should happen when people break the terms of a treaty? Is the marriage bond between a Muslim and a pagan valid? What are the guidance about divorce, alimony, and child custody? During this time, there were some hypocrites who pretended to be part of the Muslim community, but who worked secretly with the unbelievers to undermine the Muslims. There were also Muslims who wavered in the strength of their faith and harbored doubts. Some verses of this section are dedicated to describing what sincerity means, and how it is determined that one is among the Muslims or not. Hypocrites are warned about the punishment awaiting them in the Hereafter. Weaker Muslims are encouraged to trust in Allah and be strong in faith. It was also common, at the time of this revelation, that there were devout Muslims who had staunch unbelievers or hypocrites among their family members and loved ones. Verse 58:22 advises that Muslims are those who love Allah and His Prophet above all else, and there is no place in a Muslim's heart to love someone who is an enemy of Islam. However, it is recommended to deal justly and kindly with those non-Muslims who are not actively engaged in hostilities against Islam. 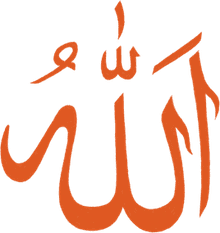 The last three verses of Surah Al-Hashr (59:22-24) contain many of the names or attributes of Allah: "Allah is He except whom there is no deity: the One who knows all that is beyond the reach of a created being’s perception, as well as all that can be wit­nessed by a creature’s senses or mind. He, the Most Gracious, the Dispenser of Grace. Allah is He save whom there is no deity: the Sovereign Supreme, the Holy, the One with whom all salvation rests, the Giver of Faith, the One who determines what is true and false, the Almighty, the One who subdues wrong and restores right, the One to whom all greatness belongs! Utterly remote is Allah, in His limitless glory, from anything to which men may ascribe a share in His divinity! He is Allah, the Creator, the Maker who shapes all forms and appearances! His [alone] are the attributes of perfection. All that is in the heavens and on earth extols His limitless glory: for He alone is almighty, truly wise!"